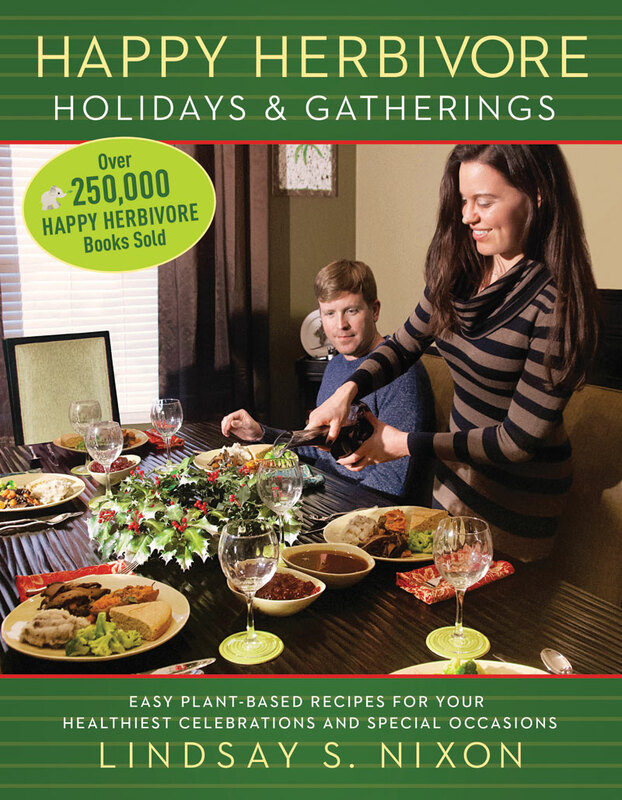 Bestselling vegan author Lindsay S. Nixon brings “healthy” and “holidays” together in her new book, Happy Herbivore Holidays & Gatherings, filled with easy recipes that celebrate and define our favorite occasions throughout the year. 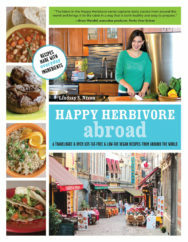 From an elaborate, crowd-pleasing Thanksgiving, to a no-fuss, but dazzling New Year’s Eve or cocktail party, to omnivore-approved potlucks such as Super Bowl Sunday, to summer fresh barbecues and picnics, and quick-fix casual dinner parties or lazy Sunday brunches with friends… Including more than 130 recipes, with new and old favorites, Happy Herbivore Holidays & Gatherings guarantees you’ll have a healthy, festive, deliciously memorable meal, whatever you’re celebrating! Twelve different specials occasions are covered in detail with more than two dozen menus and detailed, step-by-step instructions so your party planning is easy and effortless. 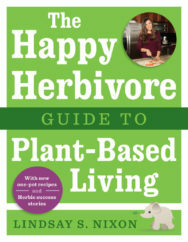 Nixon’s fuss-free, fast recipes are also weeknight practical, so you can enjoy all her hearty main dishes, savory sides, sweet treats, all year long. 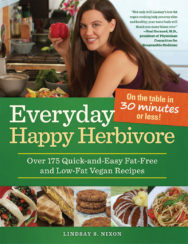 True to Lindsay’s beloved “everyday” cooking style, Happy Herbivore Holidays & Gatherings focuses on using only whole, unprocessed plant foods, with no added oils or fats, or wacky, hard-to-find ingredients. 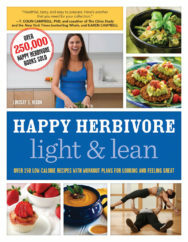 She makes it easy to impress guests while also celebrating health—and without breaking the bank. 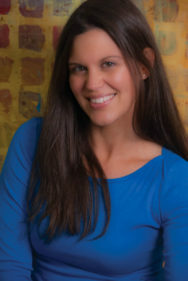 Say yes to Portobella Pot Roast, Thanksgiving Loaf, Hot Chocolate Muffins, Mini Corndog Bites, BBQ Sliders, Cauliflower Hot Wings, Cherry Tart Brownies, Lemon Rosemary Meatballs, Beet Salad, Banana “Cake” Pops, Mini Quiche, Waffles and more…. 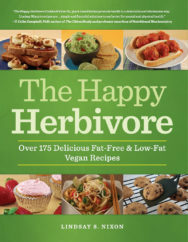 with Happy Herbivore Holidays & Gatherings, your healthy, hearty dishes will be the life of the party!